Paul James is the Global Brand Leader for St. Regis Hotels & Resorts, the legendary hotel brand which combines classic sophistication with a modern sensibility, offering an uncompromising level of bespoke service in all the best addresses around the world; The Luxury Collection, a glittering ensemble of one-of-a-kind hotels and resorts providing unique, authentic experiences that evoke lasting, treasured memories designed for the global explorer; and W Hotels Worldwide, the global design powerhouse and industry innovator. In this role, James applies his more than 20 years of experience in hospitality to these three luxury brands under the Starwood Hotels & Resorts umbrella. Food! I managed to fall into the hospitality industry by way of the culinary world. I am a proud culinary school dropout; a few weeks in to my first semester, I quickly realized becoming a Chef was not in the cards. But I loved food, I loved to entertain, and so the hotel industry was a natural next step for me. What partnerships/marketing strategies did you implement that attributed to the success of W Hotels, St. Regis and The Luxury Collection? We are in the business of creating luxury lifestyle brands, so the programming at our hotels is just as important as the brick and mortar of the buildings. We know today’s generation of luxury traveler is global, connected and have a decidedly less formal and entirely more personal approach to luxury. It’s one of the reasons we have launched programs like FIT with Tara Stiles, in which the yoga rebel has created custom workouts for W guests (think hangover and jet lag remedies) and is hosting private yoga retreats in destinations like W Vieques and W Verbier. How important is design/architecture to the success of your hotels? Today, cohesive design is as important as running water and wifi. This generation of luxury travelers is savvier than ever before; they understand nods, nuances and design references. Whether we are openings a new W hotel in Bogota, converting a Luxury Collection palace in Vienna or restoring the St. Regis flagship in New York, we work with acclaimed architects, interior designers and local artisans to bring each luxury brand to life in a way that blends seamlessly into the destination. How important is location selection to the success of your hotels? Location is so important that we aim for each St. Regis to be “the best address” in the 30 destinations we have hotels around the world. For Starwood, it is about thoughtfully building our portfolio in the right market, at the right time and with the right teams. We are developing hotels in destinations off the traditional luxury grid where we know today’s global travelers are visiting for business and leisure, but we are also excited about projects in iconic cities that will bring W to Beijing, The Luxury Collection to Milan and St. Regis to Istanbul. Describe the ideal customer experience at W Hotels, St. Regis and The Luxury Collection? The ideal guest experience should be seamless & instinctive. Our guests are comfortable moving across our portfolio of luxury brands – whether traveling to The Chatwal New York for business, The St. Regis Punta Mita with family or the W Barcelona with friends – they recognize that our brands deliver personal service with a distinct voice, but always with the guest at the heart of it; which may mean having a St. Regis butler stock your suite with a baby stroller and diapers, or having a W Insider wrangle you onto a coveted door list. It isn’t just different for every guest, but different for you as every trip-mood is different – sipping a welcome cocktail at reception at the start of a vacation, or skipping the welcome and running straight to and unlocking your room with the SPG APP, so you can get to your next meeting on time. A passionate and enquiring mind. London. An Englishman in New York needs to go home sometimes. Too Many! My father for being able to strike up a friendship with anyone, anywhere and legendary Chef Albert Roux, who showed me just what ‘great’ means in a kitchen. 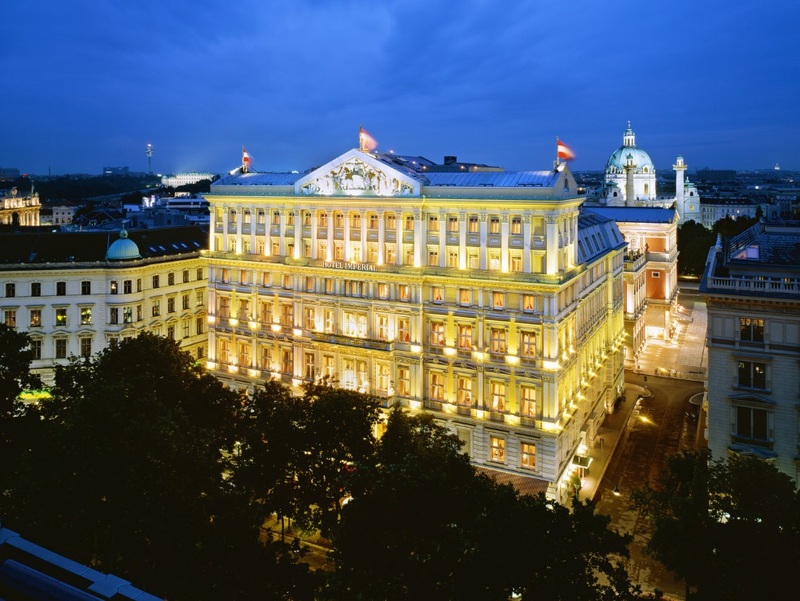 What's next for the W Hotels, St. Regis and The Luxury Collection Group and yourself? We have quite a few new initiatives and hotels openings coming up, which means a lot of travel – one of the perks for me, as I am most inspired when actually with our teams and our guests at an hotel. We will introduce the first W in Colombia with the opening of W Bogota followed shortly after by the debut of W Beijing. Earlier this month, we opened The St. Regis Chengdu (exactly 110 years to the day after the 1st St Regis opened its doors in NYC) and we are getting close to the debut of The St Regis Istanbul next February. In October, The Luxury Collection will launch a new book with Assouline celebrating ‘epicurean journeys’ around the world, which will include destinations where we are opening new hotels as diverse as Santa Fe and Milan, San Antonio and Dalian. Appointed Global Brand Leader in 2008 for St. Regis and The Luxury Collection, and added W Hotels to his purview in 2012, James is responsible for providing the overall strategic and creative direction for all three brands by leading the development of marketing, guest experience and communications programs and providing support for their strategic global development and portfolio growth. James has been instrumental in creating a long-term strategy of meaningful growth both domestically and internationally for St. Regis, The Luxury Collection and W Hotels as they branch out in the world’s most enviable destinations. Starwood’s luxury portfolio is slated to reach 200 hotels and resorts by end of 2016. 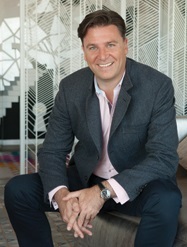 Before his appointment as Global Brand Leader for Starwood’s luxury brands, James served as Starwood’s Regional Director of Sales & Marketing, NW Europe. In that role, he was in charge of the sales and marketing teams for 35 hotels in nine countries across seven brands.